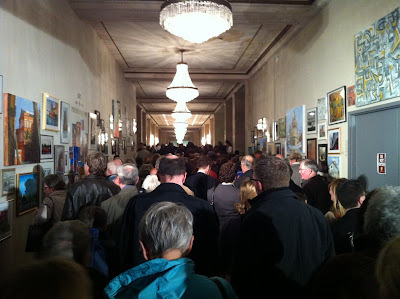 The masses of the National Preservation Conference checking out ART + PRESERVATION. 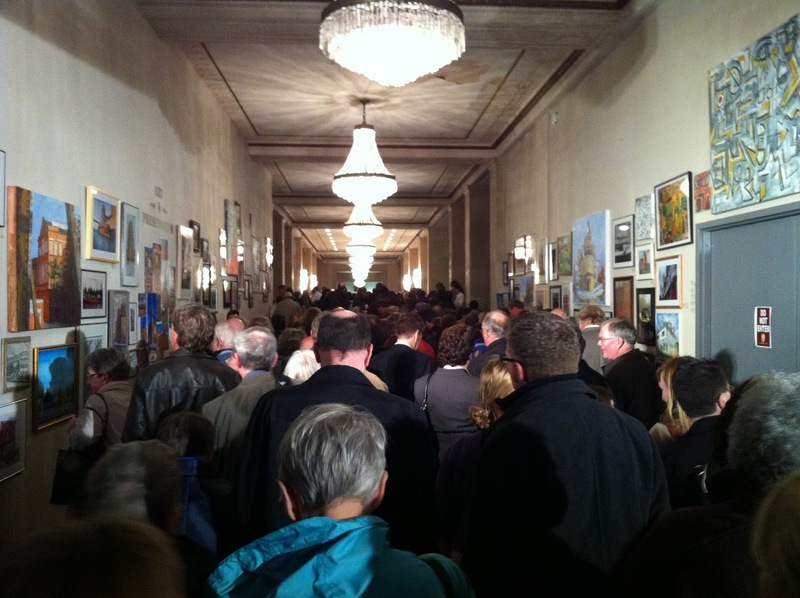 The City of Buffalo welcomed over 2400 attendees of the National Preservation Conference last week. After the Opening Plenary, everyone exhilarated by keynotes by Stephanie Meeks, President of the National Trust for Historic Preservation and James Howard Kunstler, author/activist, flooded the Statler Hotel on Niagara Square. Crews have been working hard to prepare the Statler for this event, and Painting for Preservation dressed up two temporary walls with the artwork of over 50 artists and 100 pieces.